This Waukesha chimney was lacking a chimney flue cap and had number of cracks throughout its chimney cap, mortar and bricks. Moisture entering this chimney through cracks could seep into the home causing leaky ceilings, wood rot and potential mold growth. During the frigid Wisconsin winter, water collecting in these cracks will freeze and expand causing further damages. The Waukesha chimney repair experts at Wisconsin Chimney Technicians rebuilt this cracking and leaking chimney before it could cause real damage to the home. The Waukesha chimney reconstruction specialists at Wisconsin Chimney Technicians intervened with expert chimney repair services. Our chimney repair contractors replaced and repaired the chimney’s bricks, ensuring optimum structural stability. A stalwart, water-resistant surface was added to the chimney with our top quality Milwaukee chimney tuckpointing services. 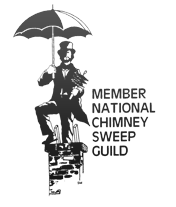 Preventing further moisture intrusion ensures your chimney is safeguarded against future cracking and damage. Our chimney repair experts installed a new Kenosha concrete chimney cap further fortifying the chimney against water intrusion. Finalizing the Waukesha chimney reconstruction, our chimney repair experts installed a high quality, stainless steel Milwaukee chimney flue cap. Flue caps stop large sparks and embers from traveling out of your chimney and are essential to your home’s safety. 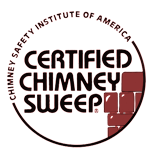 Annual Wisconsin chimney inspection services are recommended to catch potential problems before they cause damage to your home or family. Contact the best Waukesha chimney reconstruction company when you require the best chimney repair.